If you are a sport’s fan, May 2, 2015, is a date you must block off on your calendar. Not only will boxing fans finally get the long awaited Floyd Mayweather Jr. and Manny Pacquiao fight, albeit five to ten years later than we wanted, but the Yankees will be in Boston playing the second game of a three game series and football fans can watch the third and final day of the NFL draft covering rounds four though seven. I have already told my wife she can go shopping or do anything else of her choosing because I plan on being on the couch all day long getting my sports fix. Pizza. Wings. Beer. Friends. Sports. Please tell me you agree there is nothing wrong with this picture. 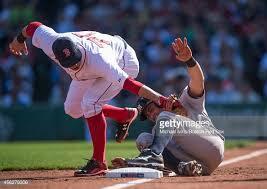 Even if you dislike the Yankees and Red Sox, it is in your best interest to tune in at various times throughout the game. The Red Sox are looking to improve on last year’s fifth place finish and are willing to do anything to rise to the top as evidenced by even changing their hitting coach. Greg Colbrunn resigned and was replaced by former MLB all-star Chili Davis. After re-signing Koji Uehara to remain in the closer’s role, the Red Sox signed free agent third baseman Pablo Sandoval and free agent shortstop Hanley Ramirez. After such a promising start, the Red Sox lost out on retaining its own free agent, pitcher Jon Lester, who took his talents to the Chicago Cubs and signed a 155 million contract that was reportedly 20 million more than the Red Sox offered. The Red Sox turned their attention to its pitching staff with Lester gone and traded for Rick Porcello from the Detroit Tigers and Wade Miley from the Arizona Diamondbacks. The team also brought back former Red Sox pitcher Justin Masterson who is coming off an injured season last year split between Cleveland and St. Louis. The Yankees have had a rather uncharacteristic offseason for them. Rather than make a big splash signing big name free agents, the team decided to stay low key and fill the roster with only a few additions. Instead, the Yankees are banking on Jacoby Ellsbury, Carlos Beltran and Brian McCann to perform to the expectations of the big free agent contracts they signed prior to the 2014 season. The biggest question mark will be at shortstop where Didi Gregorius was brought in fro Arizona to replace the legendary Derek Jeter. While not polished at the plate, New York is willing to be patient with Gregorius who is known for his defensive prowess. Starting pitcher Nathan Eovaldi and first baseman/outfielder Garrett Jones come to the Yankees via trade from the Miami Marlins and are expected to make major contributions in 2015. Of course, the biggest name in the lineup for the Yankees this season is Alex Rodriguez who is returning from a year-log suspension based on overwhelming evidence that he obtained illegal performance-enhancing substances from the Biogenesis anti-aging clinic in South Florida and also tried to hinder the investigation into those allegations. Not many expect Rodriguez to make a significant contribution this year, but only time will tell. While May 2 covers rounds 4 through seven of the draft, this is where teams are looking for their diamond in the rough. Let’s not forget Tom Brady was a sixth round draft pick in 2000 out of Michigan after having a horrific NFL Combine showing. With the NFL network and other sites posting NFL combine data and player capsules, football fans can instantly see film and read about their team’s newest draftee. The NFL draft never gets old and will be debuting at Chicago’s Auditorium Theatre this year after taking place in New York City since 1965. Can’t wait! Boxing fans will finally get their wish on May 2 when Mayweather and Pacquiao unify the fighters’ welterweight world titles at the MGM Grand in Las Vegas. Mayweather and Pacquiao have long been the two best fighters in the world. They have fought in the same weight class, but have never faced each other despite pressure from the public who can now see who is the top fighter of the past decade. Early talk has pay per view charging $89.99 for the fight and another $9.99 to see it in High Definition. 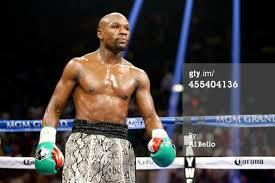 Look for the fight to gross around 40 million with Mayweather receiving a 60-40 split. Top Rank Promoter had this to say to ESPN.com when discussing the difficulty in getting the fight scheduled and the impact it will have on the boxing world. My only wish is that this fight was taking place at the height of their careers. Mayweather is 47-0 with 26 knockouts, but turns 38 next week. 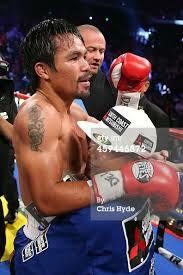 Pacquiao is 57-5-2 with 38 knockouts and is 36-years old. Imagine if these two extraordinary fighters had met in their prime. I am not the only person to feel this way. Reader Chris O’Connor had this to say about the much awaited meeting between these two future hall of famers. Whether you wished this fight had taken place years earlier, this will still be a fight worth watching even with its hefty price tag. The undefeated Mayweather will take on the aggressive and speedy southpaw. I can see this fight go either way. Remember to mark your calendars as being busy on May 2. Plan a get together with friends or make it a family event. Your day will start early and end the next day. You won’t regret it! Please visit my blog As I See It at http://Scottdm71.com. Like my Facebook page As I See It.